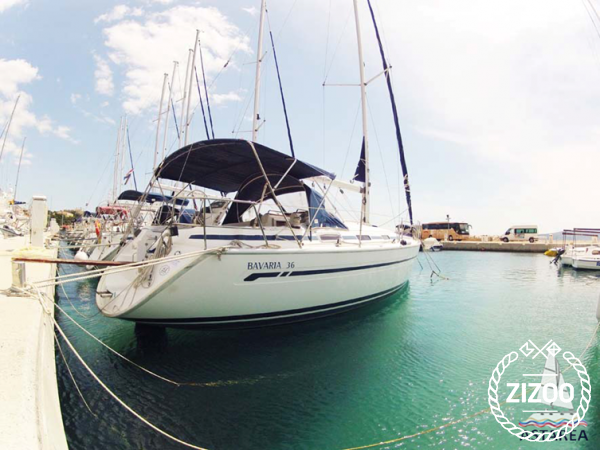 This lovely 2004 Bavaria 36 is an ideal boat for a family or group of friends. It promises easy sailing in comfort and style. With 3 cabins that sleep 6 and an additional 2 berths in the salon, the Sibila is a great choice for exploring the Adriatic Sea. Travel from Baska Voda to the Island of Solta and relax in the harbor as you listen to the distant sound of circling seagulls and rock to the lull of the gentle waves. Watch the sunset from the hilltops of the Island of Vis then walk back down into the town of Komiza and enjoy incredible seafood at Konoba Bako. Or sail out to Murter and hang out on Slanica beach, drinking coffee and watching the kids wade in the shallows. There are so many options available, and if you're still not sure, why not contact the crew for more information.